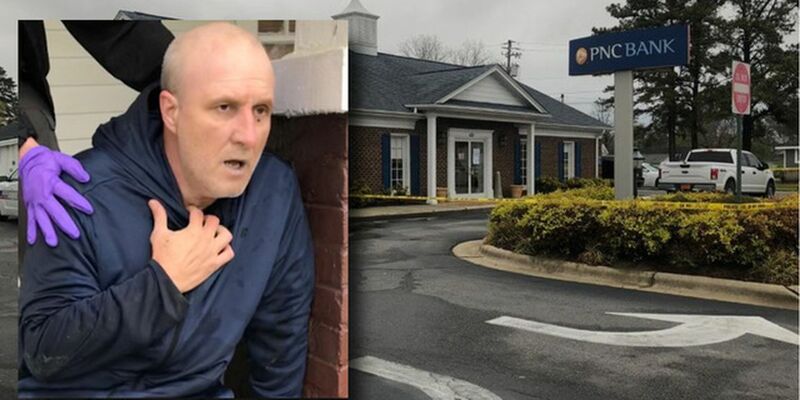 BENSON, NC (WNCN) - A South Carolina man accused of trying to rob a Benson bank was released from the hospital Tuesday without being taken into custody, police said. The attempted robbery was reported on April 2 around 4:45 p.m. at PNC Bank at 400 South Wall Street in downtown Benson. 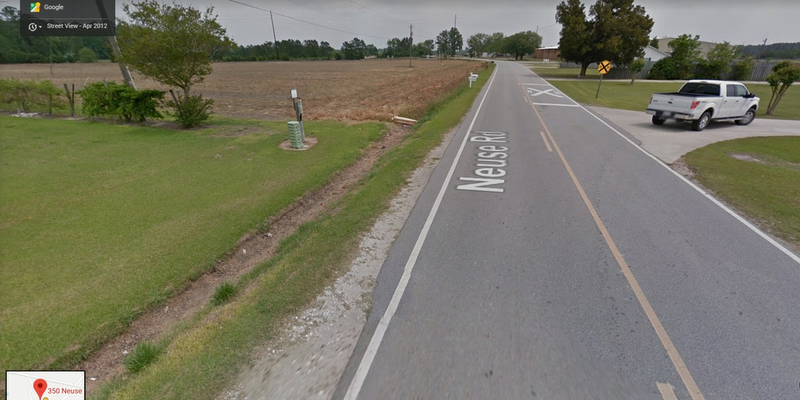 Ronnie Hiram Wessinger Jr., 46, of Gaffney, South Carolina was shot in the ankle and hip by a civilian and ran from the scene on April 2. He dropped his gun as he ran outside the bank, police said. Wessinger was located by authorities about a block away and transported to WakeMed. Benson police obtained warrants the same day as the attempted robbery charging Wessinger with attempted robbery with a dangerous weapon and second-degree kidnapping. The next day, Benson police attempted to interview Wessinger but he refused to make a statement without a lawyer present. As the investigators were leaving, they spoke with the nursing staff to see how long Wessinger was slated to be hospitalized. Benson police say Wake County law enforcement were notified of the warrants against Wessinger. On Tuesday, police took out a second warrant charging him with possession of a firearm by a felon. Just before 10 a.m. Tuesday, Benson police say Wessinger was released from the hospital without being taken into custody. "The Benson Police Department is currently working with other state and local law enforcement agencies to locate and apprehend Mr. Wessinger," police said in a release. CBS 17 reached out to WakeMed following Wessinger's release. WakeMed spokeswoman Kristin Kelly said the hospital could not release information due to federal and state privacy laws. “Under these same laws, hospitals are not allowed to notify law enforcement of a patient’s discharge date and time absent a court order. Law enforcement is permitted to serve warrants and/or arrest an individual on scene or while he or she is in the hospital,” Kelly said. Kelly went on to say law enforcement may be responsible for medical expenses if a patient under arrest receives medical care, per state law. "As a result, some agencies elect not to arrest a patient who is in the hospital," Kelly said. 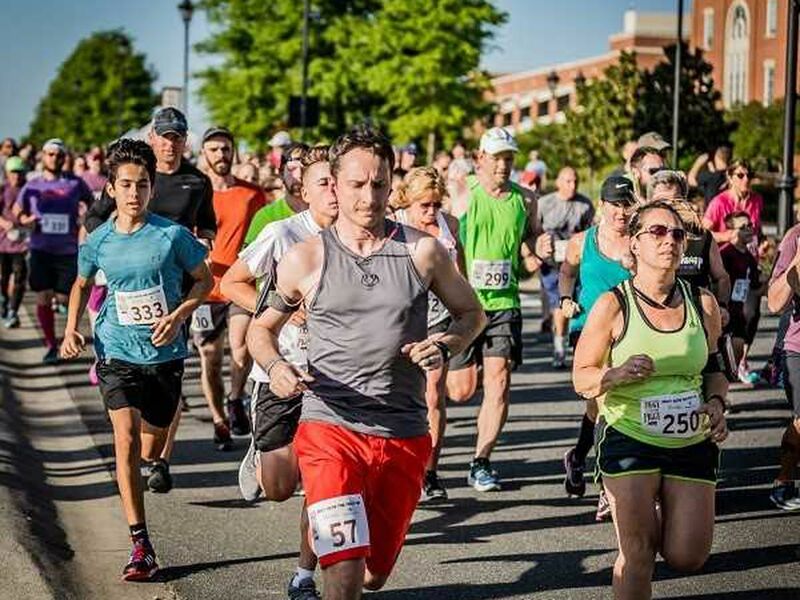 WakeMed has a long history of caring for patients, regardless of any patient’s situation, and we have an incredible record of working collaboratively with law enforcement agencies throughout the region as permitted by law. Also Tuesday, Johnston County authorities released a 911 call made by the bank’s manager immediately following the attempted robbery. The manager calmly told the dispatcher the bank had just experienced an attempted robbery. "We just got robbed - attempted robbery," the caller said. When the 911 dispatcher asked if any weapons were displayed, the manager said there was a gun outside. “We got a pistol outside on the ground,” he said. The caller repeatedly tells those in the background to not touch something until police arrive. The 911 caller does not mention the suspect being shot. The caller said the suspect did not get any money and ran from the scene. Before officers arrived on scene, the 911 caller said a bank employee had moved the gun. “One employee put on a glove and picked it up because we didn’t want him to come back and grab it,” the caller said.